Continuing on from the quite interesting Slaver Wars: Alien Contact, Moon Wreck takes us in a completely different direction than the one I was expecting. This time, we’re not exposed immediately to a resurgence in the war against the Hocklyn Slave Empire – instead we’re exposed to an Earth not too far in the future from today. In Moon Wreck we have private industry taking us out into space instead of NASA and it is one of these missions that stumbles across the hulk of a destroyed spaceship. A ship from the Federation of Humanity! I have to commend Mr. Weil on his misdirection – the first book (The Slaver Wars: Alien Contact reviewed here) in the series started as a simple multi-empire battle between Human’s and their alien enemy but by the end of the book had transformed into a Battle Star Galactica like flight from a rampaging horde to a long lost and forgotten sanctuary called Earth. In Moon Wreck, by contrast, the story is not really of those survivors but is instead somewhat smaller and simpler in scope. The story this time, is more of a treasure hunt and perhaps a search for understanding. It’s probably something we’d all like to see and are all hoping for – a quick leg up into space! A private space mission to the Moon finds a single survivor – the AI Ariel – on a damaged spaceship and it is left to her to instruct humanity on the coming conflict. With some compelling characters that help tie the books together into a cogent whole, this one while not as action packed as its predecessor does a really good job of continuing the story started in that book and keeping us in the Universe. 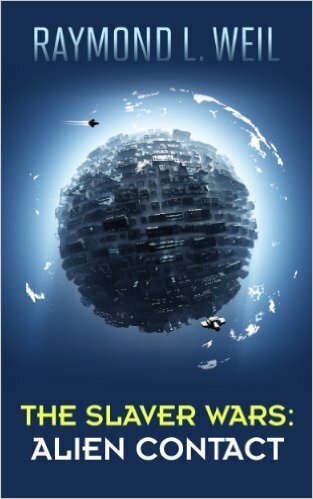 I expected this book to continue the story started in Alien Contact, but instead (as we learn) the survivors of that flight were themselves decimated by the lowly germ (ala the War of the Worlds). When this flu virus decimated their population on Earth the survivors had to flee again and while a small contingent managed to survive, it definitely impacted their plans to inform humanity and continue the struggle against the vicious Hocklyn and their AI overlords.